More and more museums and historical societies are embracing social media and creating online forums and websites. 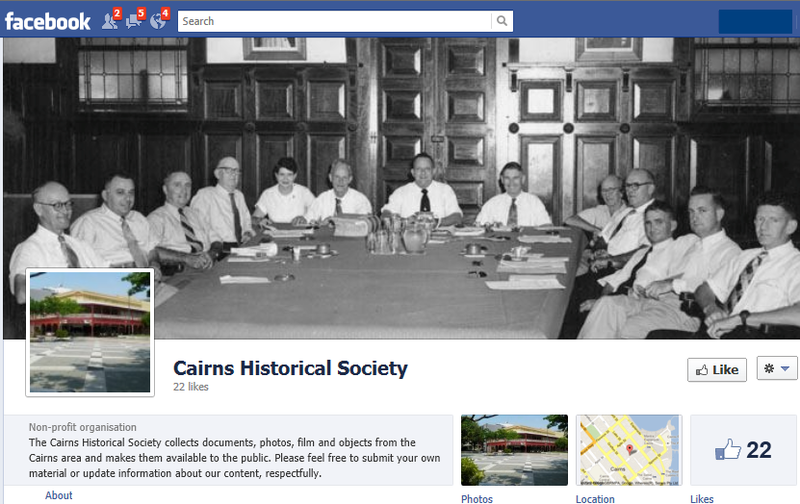 The latest offering from Far North Queensland is Cairns Historical Society’s new Facebook page. Designed to make their collection more engaging and accessible to a range of different audiences, the new site kicks off with a look at local government in Cairns over the last century. Very topical! Apart from providing them with an opportunity to showcase their collection, the site also gives the Society the chance to be an online forum for discussions about local history and heritage.